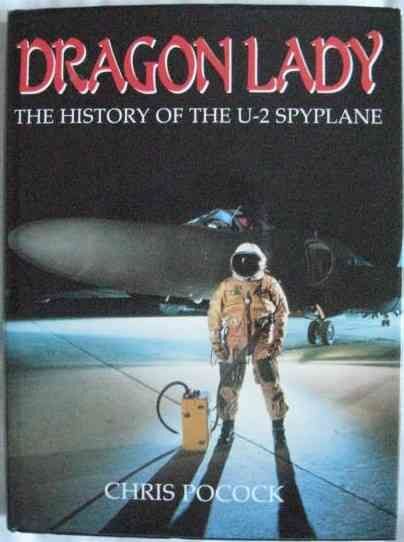 First edition first print hardback of DRAGON LADY (The History of the U-2 Spyplane) by Chris Pocock and published by Airlife Publishing Ltd in 1989. The book is in very good condition (black cloth boards with gold lettering to spine) with light general wear. The book is in a very good unclipped dust jacket which has light creasing here and there, more so to the head of the spine, and bumping to a couple of corners. Very presentable. Internally the pages are clean and tight and there are no tears or inscriptions. It has been called 'the black lady of espionage' and 'the Mata Hari of airplanes', but to the men that flew and maintained her, the Lockheed U-2 was known simply as 'The Dragon Lady'. This book contains a wealth of previously unpublished material about the world's most famous spyplane.